You are here: Home / Teaching ESL / When is the Right Time to Leave Korea? Teaching English in Korea is life. That’s it. You’re doing life as you would anywhere, but in the R.O.K. You get up in the morning and drink a cup of coffee. Take a shower. Get ready and go to work. Teach. Eat lunch. Go home. Chat online all day. Grab a workout. Eat. Go to bed. Start the next day. It’s been a fantastic experience for me on so many levels. I’ve realized a new direction in life with teaching ESL. I’ve experienced Korea first hand. I started this blog and my YouTube channel that helped me interact with many people around the world. And it’s given me a hope for things to come whether it’s here in Korea, in another country, or even back home. When is it the right time to move on to those next phases? I’ve been doing some ongoing chats through video with Steve Miller (aka QiRanger) called “KAM Chats”. It’s an acronym for “Korea And More”. Steve has been in Korea for five or six years now and seems to have come to a crossroad where he feels it’s time to decide what direction to take in his life with regards to teaching. This KAM Chat has also brought to mind the same question for myself. When is it time to move on and what are the next steps? This type of move begs many questions and depends on many variables. It’s important to look at the situation from both the outside as well as your own perspective. You have to ask yourself where you want to live and do life, as I mentioned earlier. What role does money play in the equation and how much do you require to feel secure? Did you go and get married while living abroad? This is a separate subject in and of itself. Some guys really look forward to meeting that woman of their dreams to settle down with, but it opens a whole new can of worms. I’m grateful at this time that I didn’t take that plunge here in Korea. My current contract ends in February of 2015 which will mark three and a half years. I’m looking forward to finding out what my options are in the next six months. Where will I be after I’ve decided to move on? 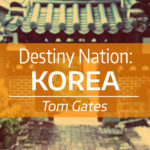 Soooooo Tom lol are you staying in Korea or moving on?Your adoring fans want to know lol. LOL. Well, I’m here for at least 1 more year starting next week. I strongly believe this may be my last. Cool, that you’re staying for another year. And knowing when it’s coming to an end to move on to bigger and better things! I’ve enjoyed watching your “living life in South Korea” videos :-). Hi5. Thank you. Hi-5 back. I don’t know exactly when the time here will close out, but I know it’s going to happen in the next year or so. Until then, I’ll keep making the best of my time here. It sounds like you still like being there, so it’s good that you are going to stay for longer. It’s not often that a westerner can get the opportunity to live somewhere like South Korea, so I think it’s best to make the most of it. So very true. It’s not often that most people make the time to even travel a little bit. I know – I used to be that person. I’m just grateful to be here experiencing this while I can. Tom, my wife and I really enjoy watching your VLOGs along with Evan and Rachel’s. 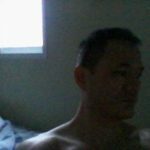 I am about a decade older than you and I too had a Korean mother, and I would have really welcomed the opportunity to spend a prolonged period of time in South Korea. Although we visited Seoul once in the late 1990s, I never had the opportunity to visit there again. Again, we really enjoy your observations and insights into the Korean culture and people. If you would like, we would love to send you a snack box from central Pennsylvania. Thanks for writing, John. I’m glad to hear you enjoy my vids and diaries. It’s hard to believe I’ve been here 3.5 yrs now. I know someday I’ll be leaving, but I’m grateful I had this chance to take it in. Though I move around frequently, I’ll take a rain check on the snack box for sure. PLEASE DON’t LEAVE! I love your videos too much! Thank you. Well, noone really knows what the future holds. Maybe I’ll never leave! Korea is a small country with a homogeneous culture. It can only offer a rather limited amount of sights and experiences, however interesting and rewarding they may be. Add to that the ceiling on the money one can make as a English teacher and, as one gets older, the age-dictated social restrictions, it is understandable that you are considering leaving. Whatever you decide to do next, I hope it’s even more enjoyable and rewarding than Korea! Yes, Korea is what it is. But it’s still a great way to be abroad and travel to nearby countries. It’s definitely not a path to take if finances are super important to a person. I’ve learned that being in the classroom is something I enjoy and also like the idea of being able to use teaching as a vehicle to be in other countries long term. I do have a desire to go to other countries to teach after Korea. Which country that will be is up in the air at the moment. Thank you for the encouragement! Just discovered your YouTube channel. Thank you for your fun and informative videos. I guess I have a lot to catch up on. I have a nomad’s heart and I really appreciate people who are brave enough to leave their home and move to a country different from their own. Best of Luck! Teaching English is a great way to support yourself so you can go to other countries and take your time seeing it. Sometimes a 5 or 7 day vacation just isn’t enough. Hello Tom! Wondering where you are now in February 2016? Found your blogs and you tube videos when my son Kristian Hart decided to leave his actor life in London and go to Bhusan on an ESL teaching contract. His life has expanded for sure this past year. I wish the two of you could meet up before you leave. Kristian has been involved in quite a few projects whilst he has been there – he has even played the lead in a film which will premiers in Bhusan in August. Your videos helped me a lot as they were very informative and warm and made Bhusan seem to be the wonderful place that Kristian has actually found it to be. He has a great circle of friends so I hope you will get the chance to get together soon. Best wishes for the future and will keep looking in to see what you will get up to next! Thank you for sharing. I’m sure your son will do well in Busan. It’s a great city to live in with many things to do. I just recently left Korea after 4.5 years and am looking forward to my next endeavor. All the best to you and your son.